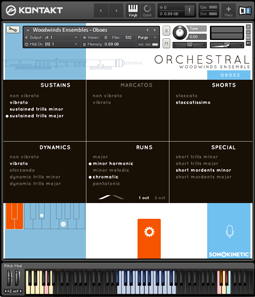 Sonokinetic BV is proud to announce this library of orchestral melodic percussion essentials. We feel this is a beautiful addition to our orchestral libraries as it allows you to add a percussive element, as well as enhanced definition to fast runs in other sections of the orchestra. These instruments will add a shine to your full orchestral arrangements, but they will come in equally handy in small group composition, where they will easily carry their own weight… Marimba and bass clarinet anyone? The instruments in the Mallets collection are recorded in the Netherlands, at the ‘Muziekcentrum voor de Omroep’, the national broadcasting center. The instruments we sampled are top class and have been used in many broadcast recordings and studio sessions for Dutch National radio and TV. Recordings were captured in a semi-close stereo configuration with Schoeps Microphones, Apogee pre-amps and converters, in a medium sized studio with high ceiling. 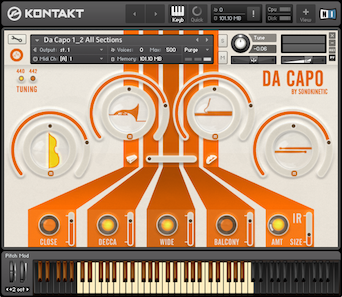 The Impulse Response sample used in the instrument is sampled in the much-acclaimed Cinematic Concert Hall in Zlin, Czech Republic, where Sonokinetic’s orchestral libraries Tutti, Vivace and Da Capo are recorded. This will make the instruments blend in perfectly with the aforementioned libraries, as well as with other sampled offerings and live recordings. 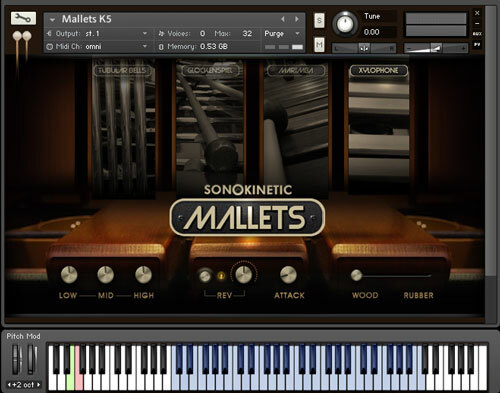 All Sonokinetic Mallets instruments are played with an assortment of mallets allowing you to choose the brightness and attack you need for your specific project. For Marimba and Xylophone two different sets of mallets are included, wool (two-zone) and rubber for Marimba, and wood and rubber for xylophone. Tubular bells have been played with a two sided hammer, solid plastic on one side, and leather on the other side, giving you the option for either a mellow or a sharp attack. The Glockenspiel is played with a brass-tip mallet, which gives it a beautiful presence and makes the instrument cut through any mix. Our Glockenspiel has been sampled with pedal up and pedal down, allowing you to play it like you would a real Glockenspiel. You can choose whether you want the notes to sound the full length (up to 10 seconds) or be damped instantly for very busy parts. If you want an even softer attack for any of the instruments, or you want to suggest more distance, the attack envelope can be changed within the interface. 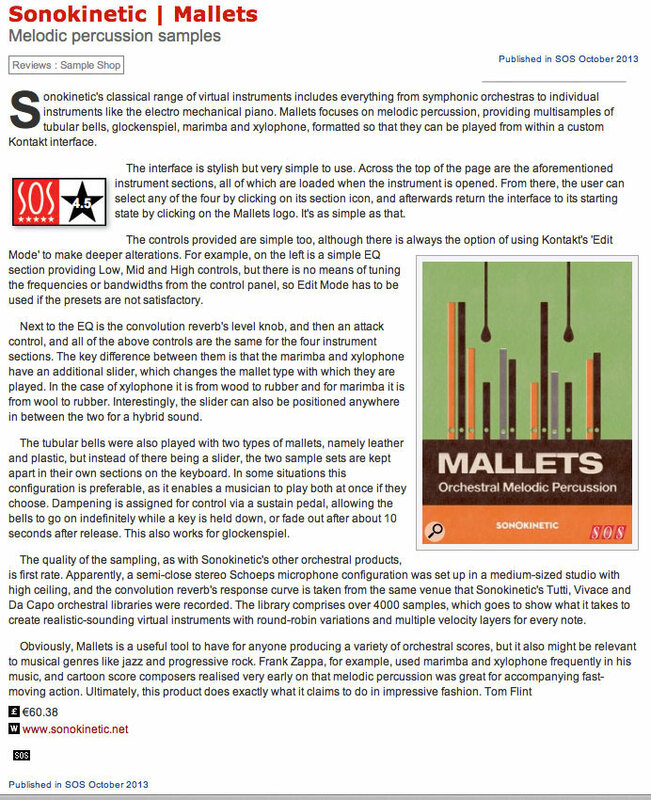 All Sonokinetic Mallets instruments have been recorded with up to four velocity layers, and four round robins for each of them. These round robins are tripled by using transposed sets of samples, allowing for many non-repeating repetitions. This is perfect for fast repetitive playing, typical of marimba and xylophone. As with many Sonokinetic libraries, we didn’t shy away from also recording very loud hits, mapped to only the highest few velocities. Sonokinetic has established a name as one of the best value & quality sample producers and with this product we like to underline that statement. We stick with our unbeatable pricing module and high quality sampling. 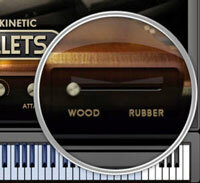 The main UI for Mallets consists of four selection panels to choose an instrument. There are also controls for EQ, reverb and envelope attack. The four instruments available are Tubular Bells, Glockenspiel, Marimba and Xylophone. 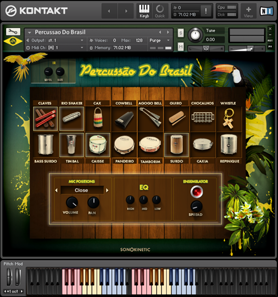 The Marimba and Xylophone instruments have an option to choose alternate sample sets, played by beaters with heads made of different materials. Marimba beaters are wool or rubber. Xylophone beaters are rubber or wood. A selection slider at the bottom right of the interface indicates the materials available. You can also select the different materials using keyswitches at the bottom of the keyboard highlighted in red. The chosen key will change to green when selected. 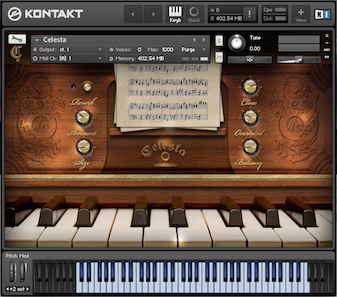 The blue keys indicate the playable range of the Xylophone & Marimba. Use the sustain pedal to control the damping of the hits. With the sustain pedal up, the notes will sustain as long as you hold a key down. Upon key release they will be dampened. With the sustain pedal held down, the notes will sustain for their full duration which is around 10 seconds. We have captured both normal and damped sample sets for the Glockenspiel, which have been played with a brass-tipped mallet. 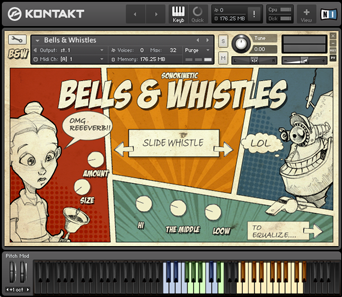 The functionality is the same as for the Tubular Bells: With the sustain pedal up the dampened samples will be played. Hold down the sustain pedal to play the undamped sample set which allows the notes to ring out for a full sustain, or until you release the pedal again. The attack of the sample playback can be controlled with this dial. The default value is set to 0 which will play each recorded sample from the very beginning. 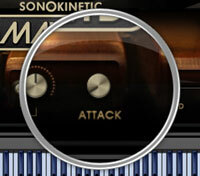 Increase the dial to change the attack portion of the playback, resulting in a softer sound.